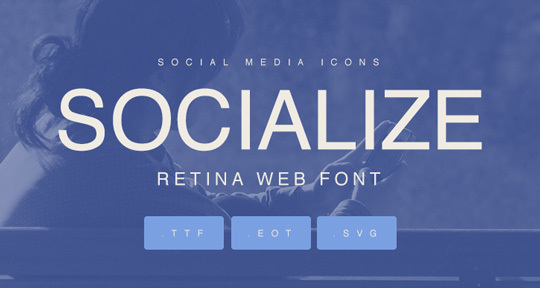 Socialize is a set of 45 icons perfect social media. Each icon has been transformed into font and font web to make life easier for designers and web designers. Enter the name of the social network and enable bandages in Photoshop or Illustrator and ready the text becomes icon.